Comment: This is an old house and the paint is flaking off the window frames; the wood and glass will need to be replaced. Comment: I need to have six pair of vinyl shutters installed on six windows. I will have the shutters already and they will need to be installed on a brick exterior. Comment: I have regular walls and want a protection on the wall. The rest of the ares is marble so I feel that the wainscoting will add a new, softer texture. Comment: Bedroom crown molding has separated at one joint. The wall is about 20 feet long and it appears that the molding is several pieces, one of which was not nailed to a stud and has separated. My guess is that a section should be cut out which would cover the area where there is no stud. There is one other project that I would like advise on. I have French doors in the study. One door can only be opened about half way, probably because the floor is uneven. This may come up in the inspection so I need to know what needs to be done and how much it will cose. I am selling this house and need the molding work done before the inspection next Monday, April 15th. Comment: I have a picture window in the back that I need to replace the window and the casing around the window. C & C Builders, Inc.
Greenville Carpenters are rated 4.73 out of 5 based on 526 reviews of 21 pros. 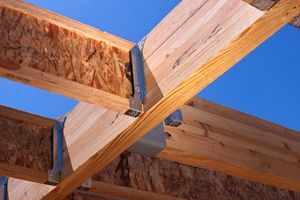 Not Looking for Carpenters Contractors in Greenville, SC?